The end of the school year is rapidly approaching, and it’s a great time to reflect on things that have worked well and things you might want to tweak for next year. As a homeschooling mom of two boys, we have had some great successes and more than enough flops, but there are a few things that I really don’t think I would have made it without. 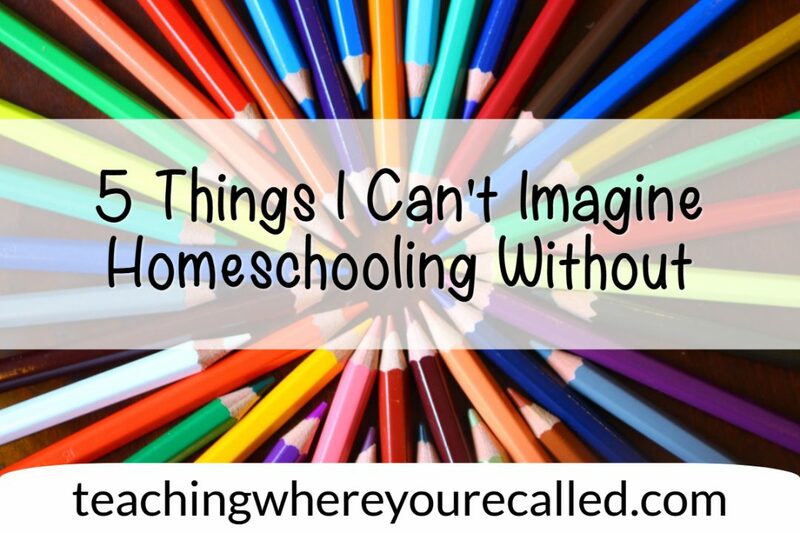 So, I’m excited to share my list of 5 things I can’t imagine homeschooling without! Now, this list is really two-fold. It’s an opportunity to express incredible gratitude to the people and resources we’ve been given, but I also hope it will give you some insight into things that will make your homeschooling experience easier – especially if it’s something you’re thinking about trying next year. I really can’t imagine trying to do this on my own. And as I talked to other homeschooling moms, this was consistently one of the top things on their lists. On days when I’m completely exhausted, overwhelmed, and feeling like I’ve failed the kids, being able to talk to, be encouraged by, and simply be reminded that you’re not alone by these other mommas always re-energizes me. Not only has this community blessed me, but it has given my kids countless opportunities to develop friendships, participate in large group activities, and grow in their social and problem-solving skills. We attend a weekly co-op with 9 other families (more on this coming soon! ), and it is truly the highlight of our week! I can NOT imagine trying to tackle this alone, and having other homeschooling families nearby has made a tremendous difference. So, if you’re thinking about homeschooling, look for ways to connect. Are there other families in your community who are currently or will be homeschooling? What are some ways you can connect with them? Look into starting a co-op of your own (again, more specifics on this will be coming soon). Don’t be afraid to put yourself out there – it’s well worth the effort! We homeschool through a public charter school, specifically designed for homeschool families. Each family is assigned a personalized learning teacher who helps get your curriculum, checks in on each student’s progress, helps parents with planning and learning strategies, and takes care of ALL the paperwork/legal side of things. This is such a huge blessing! I don’t have to worry about making sure everything is documented and submitted to the state correctly. 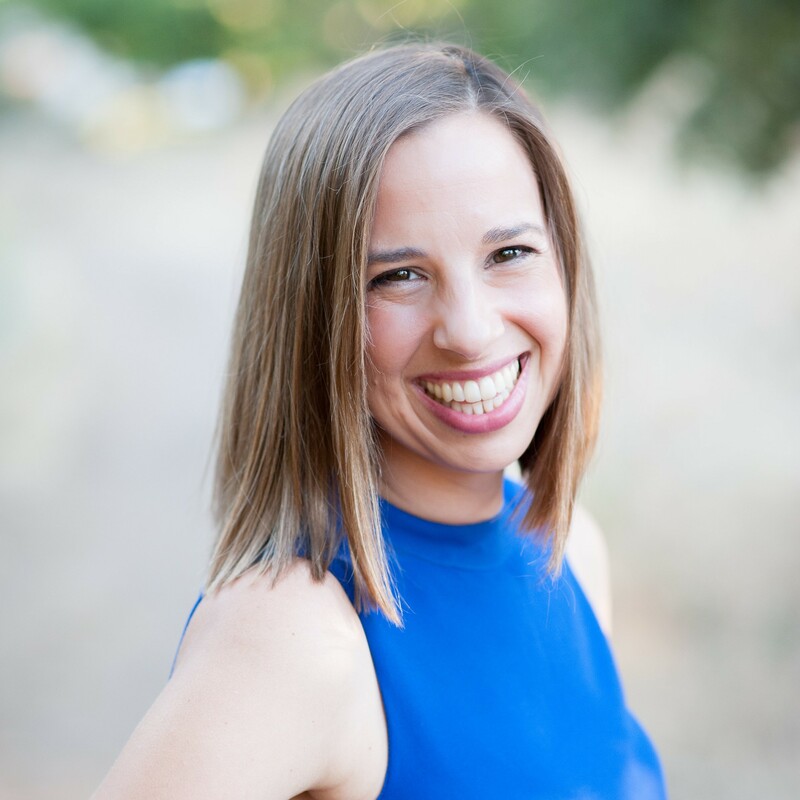 She totally takes care of all of it – gathering the information and materials she needs at our meetings. Furthermore, she conducts assessments throughout the year (so it’s not just Mom doing it), to help ensure we’re on track and give advice on things we can work on. If you’re looking into homeschooling, research what is available in your area. Is there a school you can go through? What resources and/or services can they provide? What kind of assistance will you receive? 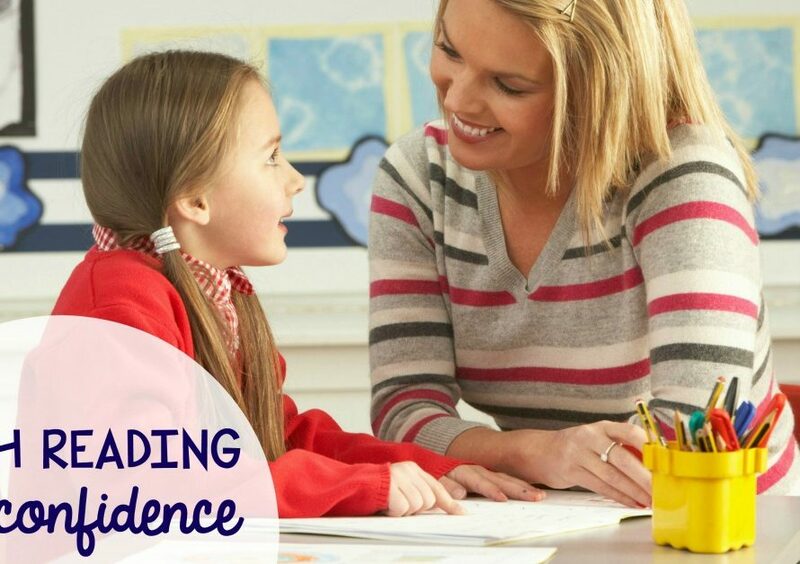 Homeschooling is so much more than just doing some activities with your kids at home, so the more help you can receive, the easier the process will be. Being a homeschool mom is a pretty thankless job. I certainly get “paid” in plenty of hugs, kisses, and smiles, but when it comes to verbal affirmation for the job I’m doing, it’s pretty few and far between. It’s primarily because no one else sees the time, effort, and energy I’m pouring into this day in and day out. However, the one person who does see it is my husband. He sees the planning, the progress the kids are making, the projects, the organization, and coordination, and he sees me do it day after day. He’s the one who takes the kids to the park just because he knows I need a break. He’s the one who cleans up after dinner because he knows I’ve been “on” all day. And he’s the one who affirms and encourages me when I feel like giving up. He does this because he knows the sacrifice I’m making to homeschool our kids. And I know I couldn’t do it without him. So, if you’re thinking homeschool may be in your future, take plenty of time to discuss this with your spouse. Ask the tough questions to ensure you’re on the same page. Now, that’s not to say you can’t homeschool if you’re a single parent, but if you are married, you want this to be a joint decision. Because if it’s not, it will be incredibly divisive. Now, I know what you’re thinking. Part of the benefit of being a homeschool family is the flexibility you have in your schedule. Flexibility, yes, total freedom, no. You still have material you need to cover, there are still skills students need to practice consistently, and it’s just not going to get done if you don’t establish some type of daily and weekly routine. It doesn’t need to be planned to the minute, but having a game plan for each day of the week makes a tremendous difference. Ours is simple – we have a consistent start time, we almost always begin with a song or two, followed by Bible. We then move on to language arts before having a snack and brain break time. We then move on to math, followed by history, science, art, or other activity. Now, this schedule varies a bit day to day (like on the days we have our co-op), but for the most part, the boys know what our school day looks like – and it definitely helps me on the planning end. It’s amazing how well kids respond to routine, and I’m so thankful other homeschool moms taught me about the importance of this consistency early on! So, make a game plan. Decide how often and on what days you need to teach each subject (for example, we don’t hit science every day, but language arts we do). 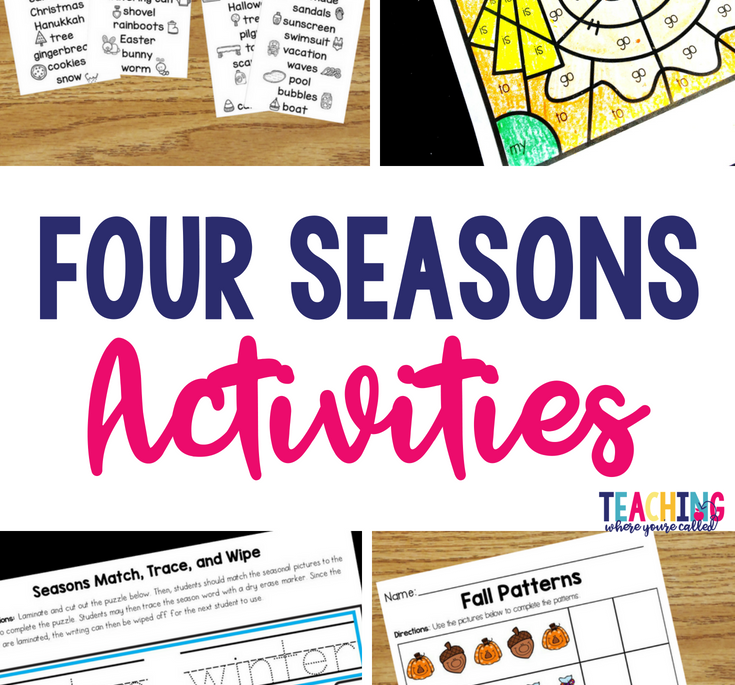 Think about how long you’ll need for each subject – and don’t forget to include brain and movement breaks! Then, put together a tentative schedule for your week. Know that there will be some flex in it, but bringing some structure into your week will help everything go more smoothly. And by the way, don’t feel like you need to go from 8am-3pm because that’s what your local school is doing. Do what works for your family, especially if you’ve got younger kiddos. Finally, and in my opinion most importantly, is my faith in Christ. Homeschooling is hard – much more of a sacrifice than I ever imagined. Honestly, there have been days when I just want to give up. However, my faith in the Lord has given me strength, wisdom, hope, encouragement, and purpose as each day I strive to fulfill what we believe He has called our family to do. Not only does He bring peace to the storm and strength to the weak, but Jesus is the ultimate example of selflessness, sacrifice, and love. And it is his example I seek to follow. While the above five things are not any type of curriculum, school supply, or even organizational system, I can’t imagine homeschooling without them. I’d love to hear your thoughts as well! What are your must-haves for homeschooling? Leave a comment below – I’d love to connect with you! I Never Thought I Would Homeschool…..and Look at Me Now! Let me begin by saying I never thought I would homeschool. Never. I was brought up going to public schools. My husband went to public school. We both taught at public and private schools before having kids, and my husband currently teaches at a public school. And yet, here I am, about to begin our third year of homeschooling my two boys – and for the first time, both of them will officially be enrolled in school (T-K and 1st grade)! 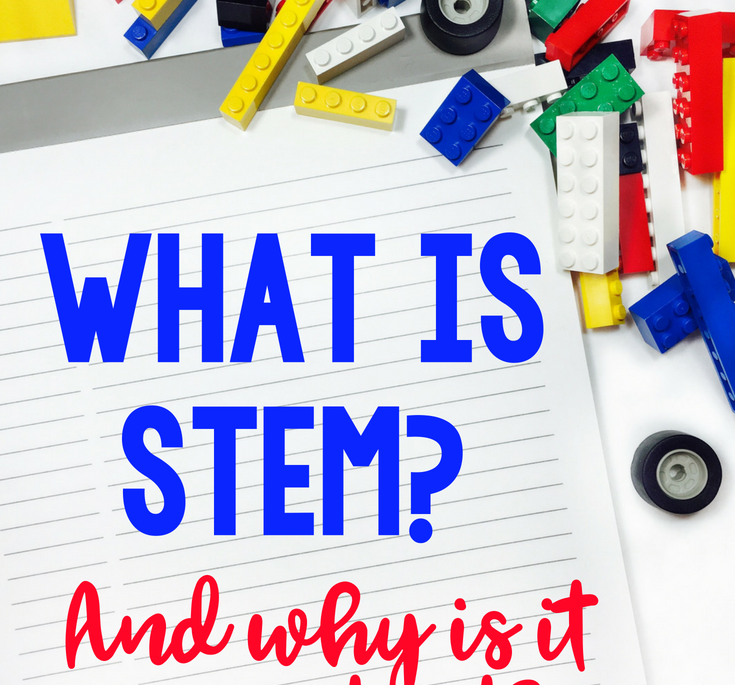 So, how in the world did we arrive in the homeschooling world? Well, let me begin by saying, it was NOT because we thought the public school system was doing a poor job. It was NOT because I questioned the public school system. So, I suppose to truly understand our reasoning, you have to understand a bit of our story. My husband and I were both working at a private Christian school when we found out we were pregnant with our first child. And this was a BIG DEAL. You see, we had tried to get pregnant for over three years, had doctors tell us it just wouldn’t happen, and then we found ourselves staring at a positive pregnancy test – tears of joy streaming down our faces. When our miracle baby was born, I took the 6 weeks maternity leave that was allotted, but soon after, had to return to the classroom. Financially, we just couldn’t swing living on the single income. Thankfully, the campus also had an infant through preschool center, so we actually had our little guy on campus with us. But every time I saw him, my heart just broke. I absolutely hated having to get him up early every morning. I grimaced at the fact that for at least 8 hours of the day I was not with him. And because I wanted to devote as much time as humanly possible to him when I wasn’t in the classroom, I ended up feeling like I was failing at both jobs. Have you been there? So, with a lot of prayer and a leap of faith, we decided that I would leave my full-time job in the classroom and become a stay at home mom. The Lord graciously provided a job for my husband in the public school system, which meant things would be tight financially, but we could make it. Fast forward 4 years…… I was loving being a stay at home mom to our now two boys, and the daunting decision of schooling began to get very real. I was chatting with a friend, whose oldest son had recently turned 6, and she made the comment, “Well, one-third of the time that I will have him at home is over.” I think my mouth dropped to the floor. Yes, I knew basic math – that 6 was indeed one-third of 18, but reality hit. 6 years old seems so young, but when you view it as one-third of their time under your roof, it’s a game-changer! These years had already flown by so incredibly fast, the thought of them being nearly one-third over made me really start to think. Yes, I knew I could still pour into their lives beyond the age of 18, but I knew I would not have nearly the influence I once had. So, we started to think and pray, ask questions of homeschool families, and pray some more, talk to parents who had put their kids in public school, and prayed some more. And we kept coming back to two things: time and influence. Over and over, the themes of time and influence kept coming back in our conversations. And they ultimately became the two primary reasons we decided to start homeschooling. This was a huge factor for me. These first few years with my kids had absolutely flown by – I really couldn’t believe we were even discussing school – and from what we had heard from other parents, it only sped up from there. So, being able to spend all day, every day with my kids, rather than sending them off to school for 8 hours a day, seemed incredible. And I knew that with time came influence. Now, looking back over the past two years, this has truly been a gift. I know that I cannot and will not ever get these years back, and the sheer quantity of time spent in the every day activities (yes, even the mundane ones) with my boys is irreplaceable. Not only have I developed such a close relationship with my boys (I mean, when I leave for Bible study for an hour and a half, you would think I had been gone a month), but the bond between my boys has absolutely flourished. And I know it is because they pretty much get to spend all day, every day together. Then, because of the amount of time I get to spend with my kids, I have a tremendous opportunity to be a powerful influence in their lives. And this, again, is not something you can just re-create. For us, we want to build a strong Biblical foundation in their lives. We want to develop Godly character, and being home with them each day gives me so many opportunities to do this. Whether it is discussing forgiveness when a toy is broken, modeling being a servant to our neighbors or choosing to show love and kindness when it’s not the easiest thing to do, being around them all the time affords me countless opportunities to pour into their lives in ways far beyond just academics. And the way that we are truly able to accomplish this (or at least work toward that goal), is having that extended amount of time with them and using that time to invest in their lives and character. Are you on the fence about homeschooling? I’d love to talk to you more about it! Leave a message in the comments below!